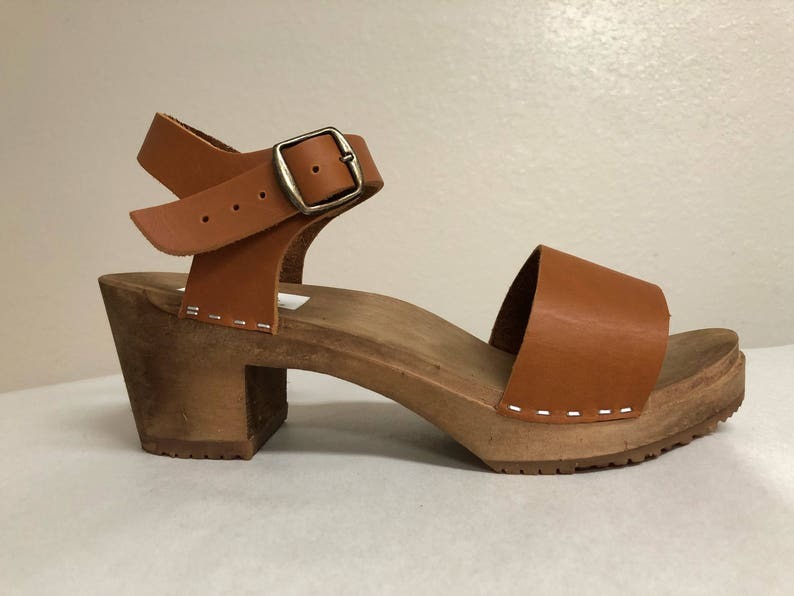 Honey oiled leather Wide strap sandal on a brown wooden medium heel 2.5" with a buckled ankle strap and bronze buckles. Love the style and the fit!! Great shoe and super comfortable. Love the look too. Excellent communications once my order was confirmed.